Black history in America is diverse and distinctive, and one of the most unique historical celebrations that many African Americans recognize is called, Juneteenth. On June 19, 1865, General Gordon Granger rode into Galveston, Texas, and announced that slaves were now free. Since then, June 19 has been celebrated as Juneteenth across the nation. While the Emancipation Proclamation was signed two years earlier, blacks in Texas had no idea. Locally, Jacksonville saw several Juneteenth celebrations this year. 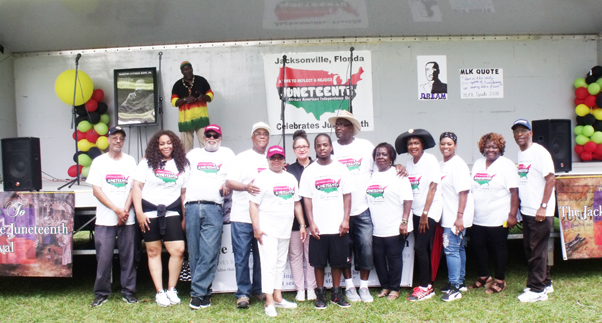 The African American Cultural Society (AACS) hosted their inaugural “Juneteenth” celebration this past weekend at the Cultural Center in Palm Coast, Florida. The event featured various vendor booths, soul food and cultural songs about slavery and plantation life. Youth enjoyed various activities and attended educational workshops about the historical significance of Juneteenth and the legacy of slavery. “We are excited to begin this Juneteenth celebration journey. 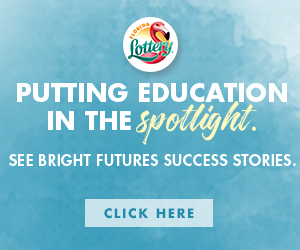 We live in a small city and want to showcase African American heritage throughout Palm Coast, and in our homes and with our children,” said organizer. Meshella E. Woods, AACS Curator. 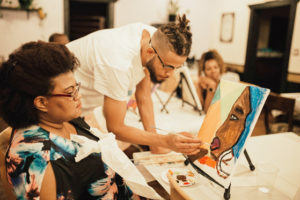 Last weekend featured another unique Juneteenth celebration featuring a Sneaker Ball and an art expo at Bohemian Lounge in San Marco. Artist Cephas Bradley led the expo and individuals were able to view an art exhibit showcasing exclusive pieces that helped commemorate the Independence Day of African Americans in this country. 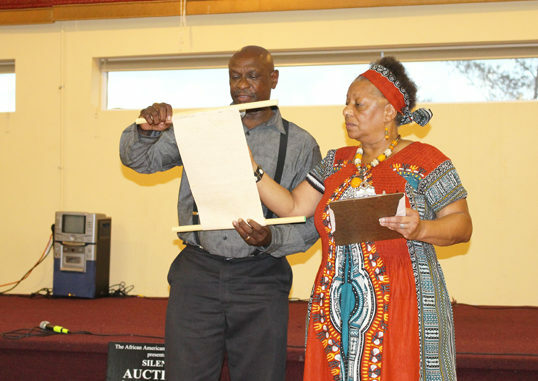 Performances included local musical artists, painting classes and award presentations. The Sneaker Ball was held at the Karpeles Museum and was free with a donation of new or used sneakers that will be provided to youth and the less fortunate in need of footwear. The event was co-hosted with the nonprofit organization, Black Men Walking, Inc. Approximately, 150 sneakers were collected. One of the longest standing local Juneteenth celebrations was held last weekend as well – the Dr. Martin L King, Jr. Memorial Foundation Inc. with co-host HOT 99.5 FM had their 6th annual celebration. The event begin with a “Juneteenth Freedom Walk Parade” that included people of all ages and backgrounds. Lonnie Miller Park was filled with dozens of participants celebrating African American accomplishments since the ending of slavery. There were games like sack racing and kickball and activities like face painting and relay racing. The celebration also included assorted vendors featuring healthcare providers, food ,and art. clothing, jewelry, and a book fair. A choir from Mississippi was the featured entertainment and several candidates running for public office were on hand to interact with voters.